World fame is difficult to handle for all 7-year-old children. In Afghanistan, it can also endanger life. 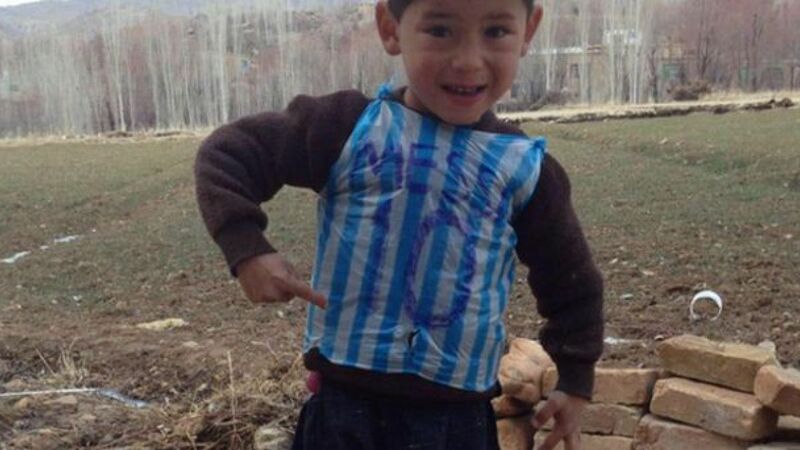 In January 2016, a photo of young Murtaza Ahmadi viral went through its improvised version of a football shirt from his Argentine idol Lionel Messi. The shirt, a bag with blue and white stripes with the name Messi written with a pen on the back, he won this boy two autographed shirts, a signed football and a meeting with the millionaire football player 11 months later. Today, many people can now recognize Ahmadi, however he runs away and wants them not to. Ahmadi's problem began after meeting his hero on a brief visit to Qatar. They were not problems caused by constant attention or by paparazzi who are common in football players' lives. It was the Taliban who invaded the Jaghori district in Ghazni province in November, where it grew. "The Taliban killed our relatives and they were looking for houses. They stopped the cars, killed their passengers, searched for houses and killed people"said Ahmadi to CNN. "We didn't play football for the Taliban or even leave the house," he said. "We heard the sound of heavy machine guns and Kalashnikovs and rockets in the home. We also hear people shouting". Ahmadi in particular became the target of threatssays her mother, shafiqa, referring to her fame. "From the day Murtaza became known, life became difficult for our family," Shafiqa says. "Not just the Taliban, but also Other groups also began to think that Messi could have given him a lot of money. We stopped sending him to school and they threatened us all the time. " 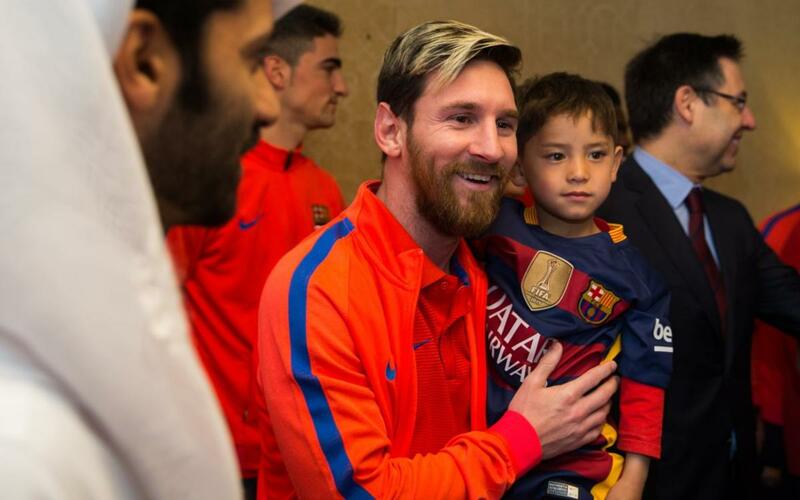 Lionel Messi learned about the boy's devotion and in February sent two autographed shirts and a ball signed by UNICEF. Ahmadi says he told his mother to take him somewhere else. Finally Ahmadi's father both helped escape to the nearby town of Bamyan. "The last time I saw my father was the first day we came here"said Ahmadi. "Then he came back, and I haven't seen him since. I miss him a lot. When he calls my mother, I also talk to him." From Bamyan, Ahmadi and his mother traveled to the capital Kabul, where they are now hiding among the many refugees. but her mother still doesn't feel safe, for fear that others want to kidnap their son because of their links with the millionaire football player. "It would have been better if Murtaza had not received fame," he said. "Now our lives are in danger both in our home town and here in Kabul. He spends all his time inside the house". Since the day Murtaza became known, the family's situation is exacerbated by the fact that he belonged to the Hazara minority, a group of Afghan shiites persecuted by the Taliban and brutally attacked by IS-K, the Afghan franchise of ISIS. They tell their story at a time when Hazara fears a possible peace agreement with the United States and the Taliban could give the Taliban power and get American troops out of the country. Last month, US officials and Taliban leaders in Qatar met in unprecedented talks aimed at a long-term negotiated end to the longest war in the United States. Now Shafiqa Messi calls again, this time for help to leave the country. 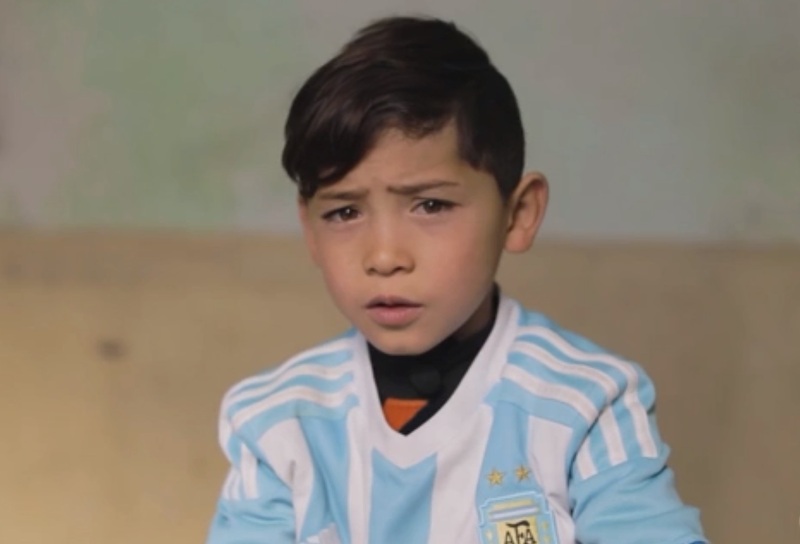 "I would like Messi to help Murtaza, help us leave Afghanistan so that Murtaza can have a better future". In Kabul, Ahmadi can only play football in the clothesline in his apartment mode, and his football streams are limited by his situation. Like many Afghans, after decades of foreign participation and war, he is caught between the limited help that foreigners want to give to the Afghans and the greater help they desire. "In Kabul I can't leave the house," Ahmadi said. "My mom doesn't let me go. He's scared I just play with my friend inside the house". "When I was in my hometown, I couldn't wear my Messi shirt because I was afraid someone would hurt me. I want to be taken from this country because there are fights here. I want to be a football player like Messi and play with Messi. "